If you want to perform at the highest level in your field, without sacrificing every other area of your life, you have reached your destination. 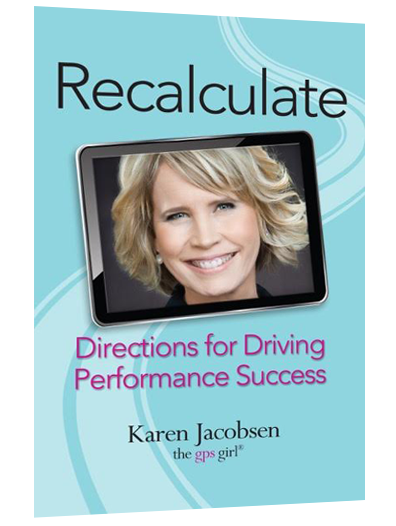 …while Recalculating when things do not go as planned. 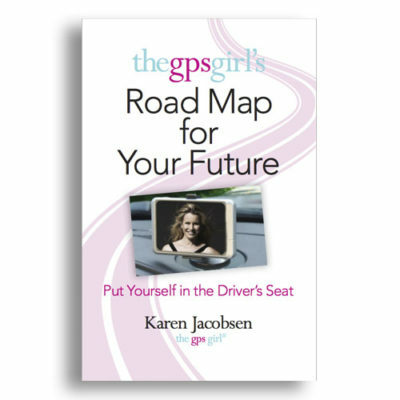 The GPS Girl® Karen Jacobsen shares many of the tools she uses on a daily basis – in her roles as mother, wife, business owner, international speaker, concert performer and the voce in over 400 million GPS and smartphone devices around the world – to keep herself on track, even when things do not go as planned.